Call 727-248-0697 to schedule your first appointment. Make Miracle-Ear® your first stop for hearing aids in Palm Harbor, FL. We have over 1300 locations nationwide, yet each one is independently owned and operated. We've been improving our customers’ hearing for over 70 years, so we're the most recognized and trusted name in the industry. All of this contributes to the fact that we’re the most recognized brand of hearing aids in America. Hearing aids in the past were uncomfortable and hard to clean. They squawked with feedback at inconvenient times. Today's hearing aids are easy to maintain, they work like a dream, and they can even give you better-than-normal speech recognition abilities in challenging situations. We're especially proud of our ClearVation™ technology, which adapts to personal preferences, and our new GENIUS™ technology. GENIUS technology uses its Directional Focus and VoiceTarget 360 features to allow you to concentrate your hearing precisely where you want while still hearing conversations from any direction. The result is spectacular, high-definition sound. If you suspect that you have hearing loss, schedule a free hearing test* at any one of our locations, and our experienced hearing care specialists will guide you in finding the best match for your needs. We have many shapes, sizes, and styles to choose from. We invite you to visit our hearing aid center to discover and experience the Miracle-Ear advantage. Our hearing aid center proudly provides hearing aids to customers in Palm Harbor, and we’d like to serve you. Call today to learn more about how our hearing care specialists can be of service. Ann Jones is your local Licensed Hearing Aid Specialist in Palm Harbor. Ann is licensed as a Hearing Aid Specialist by the Florida Licensing Board within the Florida Department of Health. In addition, she has been through extensive training with Miracle-Ear and has received her Miracle-Ear Professional Certification. She has also been trained in Live Speech Mapping, Real Ear Measurement, Deep Canal Impressions, and is proficient with all Audiometric equipment to service your needs. 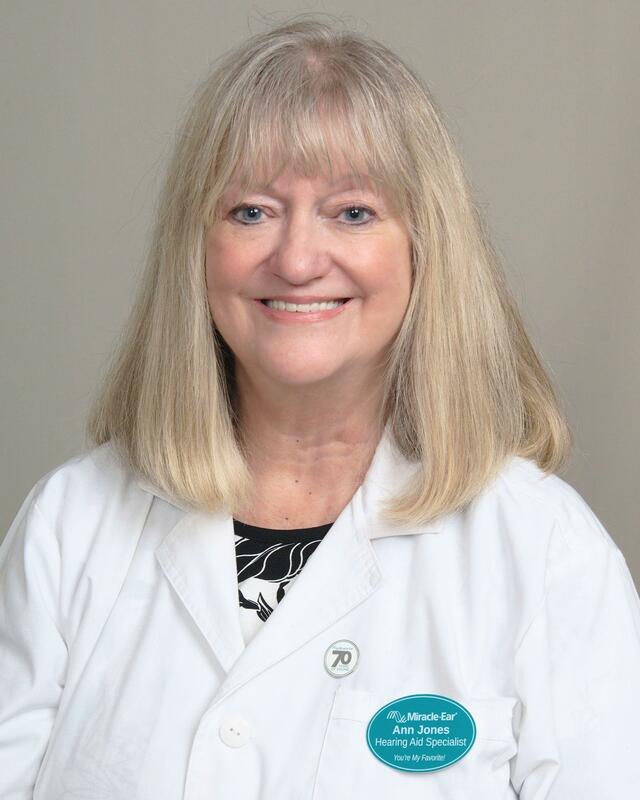 In addition, Barbara Whitlow is the Office Manager for Miracle-Ear in Palm Harbor. Barbara is fully trained and completely certified by Miracle-Ear as a Professional Assistant. Working as a team, Ann and Barbara are here to service all of your hearing needs at Miracle-Ear in Palm Harbor.